Do you think Hotter Shoes are for the over 50's? Because I did and I will be the first to admit that I've never set foot in their Newcastle store in intu Eldon Square despite walking past on numerous occasions. 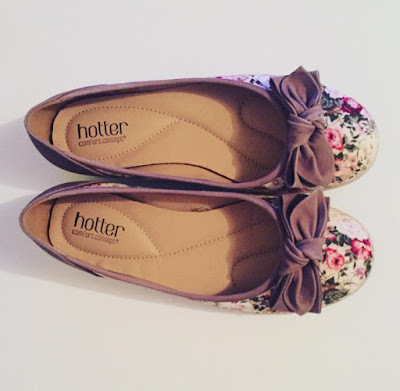 When I was invited to an in-store blogging event this week, I popped over to the Hotter website and was surprised to actually find a few pairs of shoes that looked quite nice! 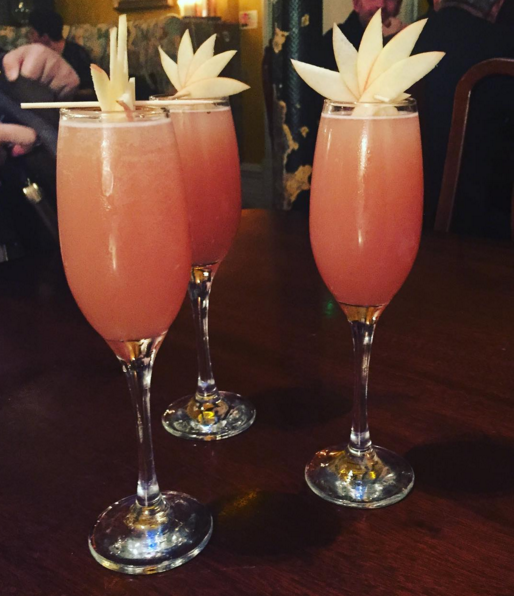 So I accepted my invitation and headed to intu Eldon Square with some of my blogging pals to find out more. It seems that Hotter are very much a shop that I should have popped into before. I LOVED how comfortable the store was with seats at the perfect height and the friendliest staff you will ever meet. The staff are experts in all-things shoe and can help you pick the perfect pair for any occasion. Hotter are influenced by seasonal trends and you will find the colour palette of their new collections match everything on the High Street. The main reason I was impressed though was just how comfortable and light the shoes were. Oh my word I've never felt shoes like it! Most of the comfort technology is hidden away so the shoes still look beautiful whilst feeling like you are wearing your favourite pair of slippers. Very clever! I have started a new habit of walking every day and I am so far really enjoying it. I usually wear my trainers however they are a little garish with huge purple tick on the side. I immediately spotted these Feather Shoes which were being worn by a member of staff. They are a lot more understated than my current trainers yet still provide much needed support, are breathable and ultra light (you need to pick a pair up to understand just how light we are talking here). They also feature a memory insole (a bit like a memory-foam mattress) for an instant tailored fit to your foot. I am definitely heading back to Hotter on pay day to pick up a pair myself. Hotter also stock a range of GORE-TEX Shoes. My children were GORE-TEX ambassadors last year and I can vouch for just how good these shoes are. GORE-TEX shoes are guaranteed to keep your feet dry FOR LIFE and are the ideal shoes for rainy commutes or country walks. Back to the evening though and we were all invited to choose any pair of shoes from the shop to take home. Eeeek how exciting! Imagine 7 women given full reign of a shoe shop! We had a fab time! I think between us we probably tried the whole shop on and there was lots of um-ing and arr-ing as we all felt like Cinderella as the staff worked hard to find us all our perfect pair of Hotter shoes. I am a very decisive shopper - I see something I like and I go for it and just like when I bought my wedding dress, I only needed to try one pair on and I knew they were the ones. What do you think? Aren't they pretty! 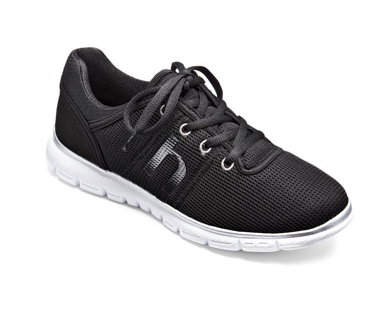 They are very lightweight with lots of cushioning meaning they will be comfortable enough for me to wear during my 3 mile walk to and from school every day. 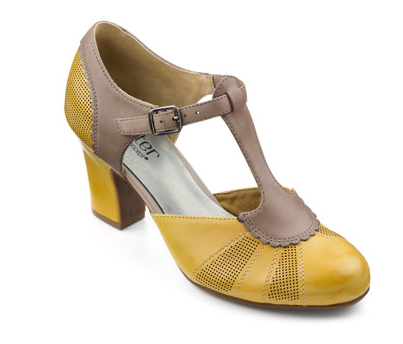 I think they're also pretty enough to wear on an evening and I am very confident they'll get lots of wear. 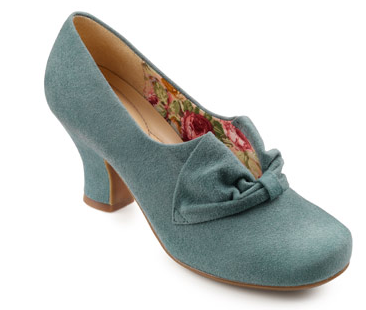 The quality is superb and I know they will last the whole summer, unlike the cheap (Primark) ballet pumps I was wearing that were already looking worse for wear after a few weeks. After a good hour or so we'd all found a perfect pair ranging from glamorous heels to sensible flats and a fair few pairs of summer wedges. Laden with bags, we headed to nearby Lola Jeans where we caught up on our news and enjoyed a few wonderful Pink Lady Cocktails. What really stood out for me about Hotter is just how passionate their staff are. Every single one of them were experts and clearly loved their job. Nothing was too much trouble and they weren't shy to offer advice either when required. 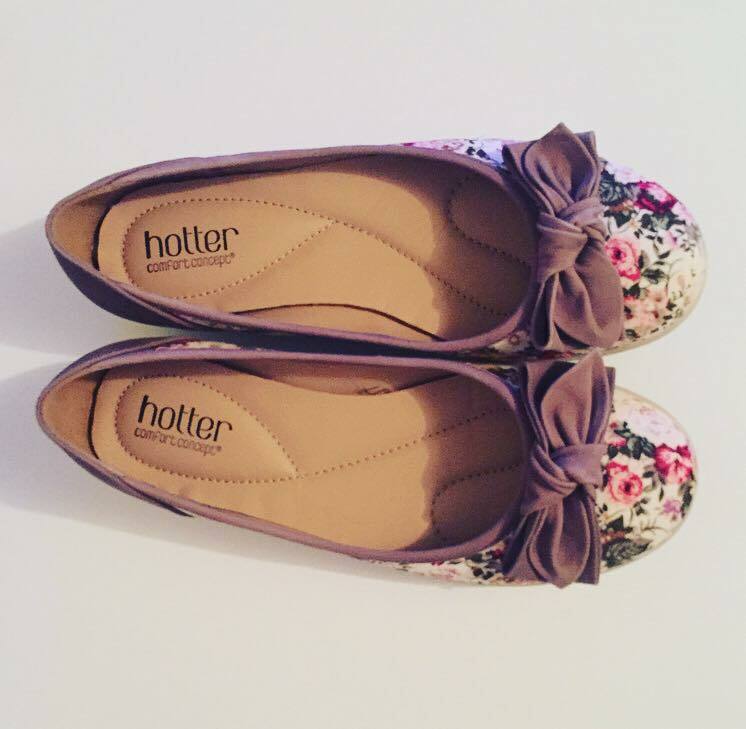 Hotter also support British industry and 80% of their shoes are made in the UK. I also think their 90 day no-quibble guarantee is AMAZING and speaks volumes about how sure they are you will love their shoes just as much as they do. Like a lot of women my age, heels seem like a distant memory. I think that Hotter could be the ones to change this and who knows, at the two weddings I am invited to this year Hotter could be the ones to persuade me to ditch my flats in favour of heels for the day. We will see. Thank you so much the Hotter PR team and all of the staff in the Newcastle intu Eldon Square store. I will be back on pay day to pick up some Feather Shoes and you might even persuade me to try some heels too. See you then. Love those Sandy Shoes, I have worn a pair of hotter shoes for shooting weddings and they were so comfy. Sam and I both thought you'd like these and some other ones on the same display! I love my hotter shoes. After breaking some bones in my feet a few years ago, I have to make sure I have very comfortable shoes, otherwise I end up in a lot of pain. Especially if I'm out shopping all day.